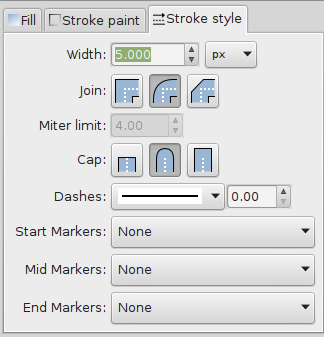 The font is made using Inkscape. To make this sort of font, first, create a text. Make some space between each letters by using , and set the stroke color and fill color to undefined by clicking on . Either use space bar to create a copy of the colored text, or use Alt+D to create a clone of the undefined color text(displayed as black). Then set the stroke size to 20~30 and change its stroke and fill color. Create yet another copy. This time shear it a bit and set its color to grey.